And here it is, my new scooter. Just ordered it, great deal, on sale, free shipping and it will be here this weekend. I cried after I ordered it though. A humbling surrender to what is. Also a smile for the added freedoms it will allow me to get about further and easier. Still,my heart aches by this truth, this "it", reality, quite harsh to absorb. And I am, absorbing, accepting, on my way to the relief of surrender...........stay close to me, I need you all. 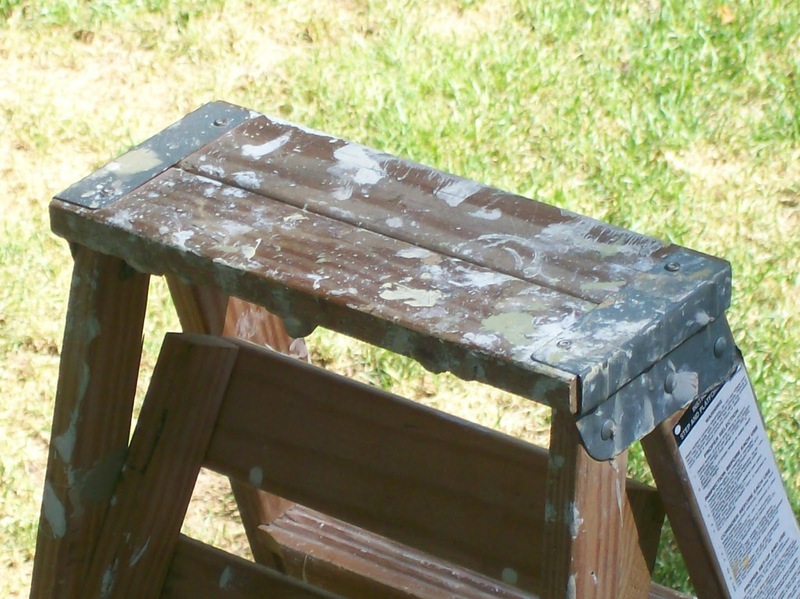 This wooden step ladder has seen years of wear and paint and stain and wall paper paste, sweat and on and on. It allowed my Dad to change ceiling lights and fixtures, put up curtain rod hardware, paint trim and window sills, doors and walls, spray for bugs outside and knock down a wasp or hornets nest, repair screens, store things on higher shelves, climb on to the front porch roof to retrieve a frisbee or a kite or ball. I don't recall him rescuing any cats from trees but if the need arose he would have using this wooden step ladder.